Google chief executive Sundar Pichai met with the European Union’s top anti-trust official Margrethe Vestager on Thursday in an effort to narrow differences ahead of a landmark competition decision on the company. 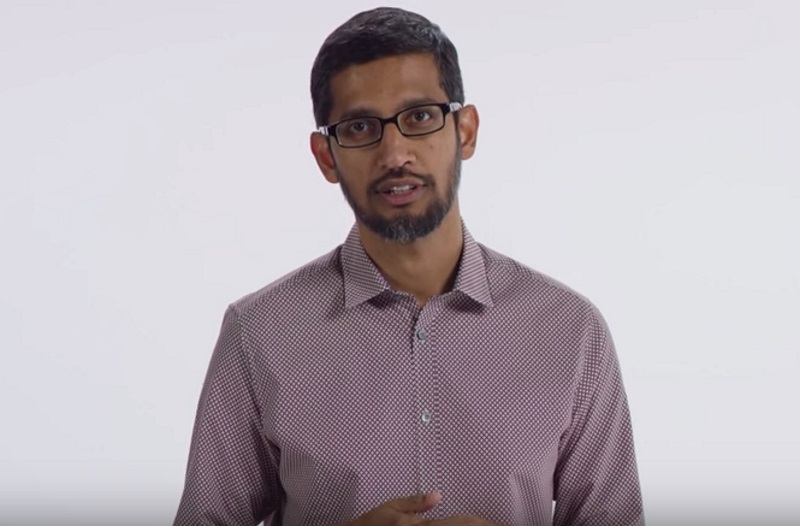 Pichai, a 43-year old from India, faces the task of improving attitudes towards Google in Europe, where national governments are pushing the EU to take a closer look at its dominance of the search engine market. A spokesman for Vestager confirmed the meeting, but refused to provide any further details of what was discussed. European competition officials have been investigating the US tech giant for years over alleged monopolistic practices involving its search engine but a solution has been elusive. Google is also under fire in Europe for paying extremely low taxes through the use of complex cross-border financial arrangements. This was the first meeting between Competition Commissioner Vestager and Pichai, the new CEO of Google, and follows a meeting last March with Eric Schmidt, the company’s chairman. Three successive proposals by Google for an amicable settlement have been rejected and last year Vestager sent the company a “statement of objections” over its online shopping services. It said Google had diverted traffic from rival price-comparison services like Kelkoo, which operates in several European countries, to favour its own product. Google responded in late August that Brussels’s findings were wrong and based on a flawed evaluation of the market. If no agreement is reached and the group is found to have broken EU antitrust rules, it could face fines amounting to billions of dollars. A decision is expected before this summer. In addition to the initial investigation into Google’s search engine which began in late 2010, the European competition service opened a second probe in April to examine the group’s Android mobile operating system. This software, used by a wide range of brands, is installed in more than 80 percent of the world’s smartphones. The EU is also reaching out to Google rivals over the company’s advertising practices and an exclusivity deal with Apple. Pichai became Google’s chief executive officer during a restructuring last year that set up a a new holding company, Alphabet, as Google’s parent. Google now focuses on its core businesses – online activity, Android, YouTube – while its peripheral interests such as driverless cars are overseen directly by Alphabet. Pichai also met Gunther Oettinger, the EU commissioner for digital economy, to discuss the digital single market, an ambitious project by Brussels to unify regulation across the 28-nation bloc. The visit to the EU headquarters was a stop on a European tour by Pichai that included the Mobile World Congress in Barcelona and a speech in Paris on Wednesday.